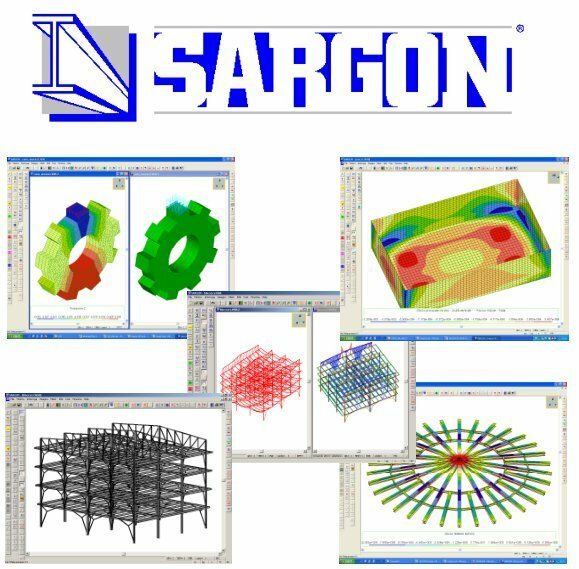 Sargon is a software used for structural analysis mainly aimed to the design and check of steel structures (sheds, hangars, covers, multi-story building, pipe rack, industrial plants, towers and masts, scaffolds, warehouse shelves, cantilever, drive in, porta pallet, trusswork, frames, etc. etc.). It uses a powerful graphic interface and different finite element solvers, both internal and external. 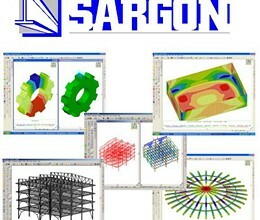 Sargon Modeler is a 3D modeler of high power and versatility, especially designed for 3D structures. Sargon embeds Samba, the cross-sections archive management unit (starting from more than 10, 000 cross-sections) and new cross-section design tool. Sargon is able to create preliminary drawings automatically and is interfaced with CSE for the automatic steel-joints (steel-connections) check. Using Sargon you can quickly design 2D or 3D structures, checking them according to different standards like eurocodes 3 and 5 (EN 1993 1-1, CNR 10011, BS 5950, AISC-ASD, EN 1995). Since you can change units of measure and output language at any time, you can easily work with abroad customers. All the structural features and the results can be got in graphic format. there are not the interfaces to other programs. * Sargon download link provides demo version of the software. sCheck is a Windows program for structural engineers to design and check steel beam/column compliance according to ANSI/AISC 360-10. Samba (Shape And Material Brisk Archive) is a software program very useful for structural designer, particularly of steel structures. No one has rated Sargon yet. Be the first to rate this product.